Inspired by her favourite artist, award-winning musician Elsa Jean McTaggart presents a brand-new show for 2017 – Eva Cassidy: The Story. 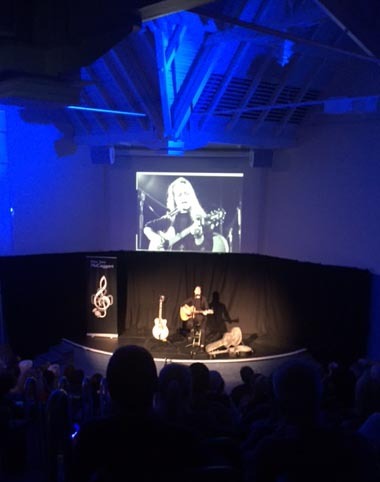 A hit with a wide audience at this year’s Fringe where the show was previewed selling out many times, Eva Cassidy: The Story will be a deeply personal, poignant tribute by Elsa to an inspirational voice and an incredibly talented musician who was discovered by the world tragically late. Music from this show is not available online at this time. 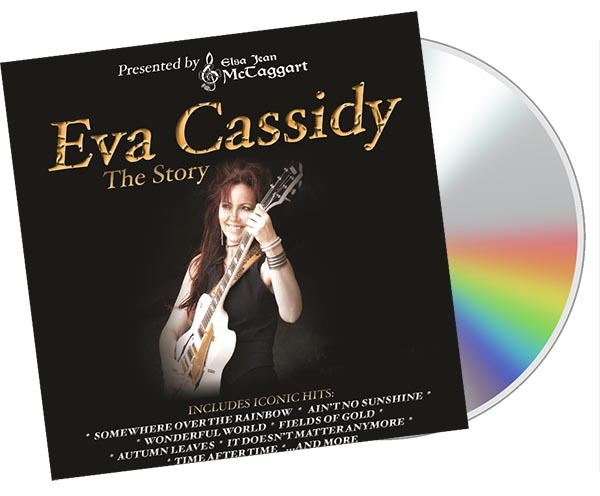 Elsa Jean McTaggart sings ‘Ain’t no Sunshine’ launching her ‘Eva Cassidy The Story’ Show. Somewhere Over the Rainbow sung by Elsa Jean McTaggart in the style of Eva Cassidy from ‘Eva Cassidy The Story’ show. Elsa Jean McTaggart sings Eva Cassidy’s ‘Wonderful World’. 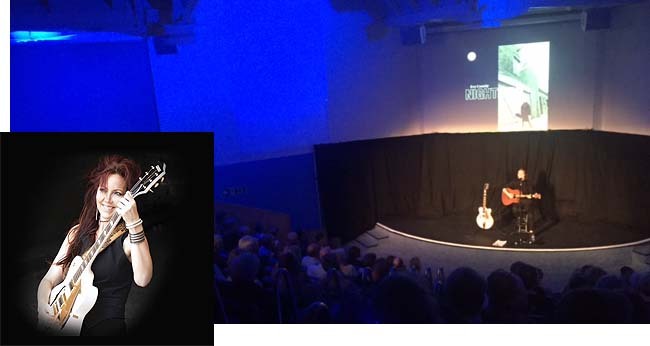 Recorded at the Edinburgh Fringe 2018 in the Symposium Hall, from her ‘Eva Cassidy -The Story’ Show. Elsa Jean McTaggart sings Eva Cassidy’s ‘It doesn’t Matter anymore’. 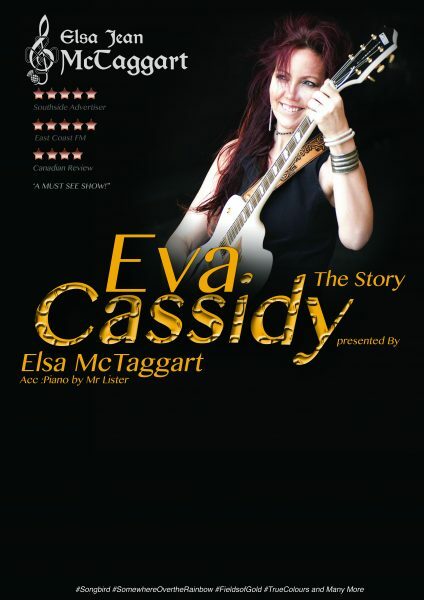 “Eva Cassidy The Story” is a new show this year from Elsa Jean McTaggart as, through her vocals and guitar against a video backdrop, we were given a heartfelt tribute from Elsa to one of the most iconic voices of her generation – Eva Cassidy, Elsa’s all time favourite artist. This is not a tribute show with Elsa Jean McTaggart trying to sound like Eva Cassidy (the two have very different voices) but songs sung from the heart in tribute to Eva Cassidy who also sang from her heart. For most people attempting to do a show like this, my advice would be –“don’t bother” as few people can come anywhere close to ever capturing the wonderful clear tones of Eva Cassidy’s voice…Elsa Jean McTaggart is however one of those very few people with a distinctive enough voice to do the music and songs of Eva Cassidy justice. It is always difficult for any singer to cover songs that have become so identified with another singer, but on songs like “Time After Time”, “Autumn Leaves” and “Over the Rainbow”, Elsa Jean McTaggart managed that elusive trick of making these songs her own tonight. “Over The Rainbow” for me is one of those songs that many people try to sing and most end up destroying. Few people ever manage to bring the emotional fragility that is needed to this song -Eva Cassidy was one of them, and Elsa Jean McTaggart has just been added to that very small exclusive list. Some of these songs have taken Elsa in a different vocal direction than she normally sings, and I think even to Elsa’s surprise show to everyone that there are many more styles and ranges that her voice can easily cover. Eva Cassidy is best known for her vocals, but for some reason often overlooked as a very fine guitarist, and Elsa did a very good job on guitar in this show coming close to the playing style of Eva Cassidy herself. This new show is one of three shows in completely different styles from Elsa this Fringe. The other two are “Sings, Strings and Other Things” and “Sounds of Scotland”.